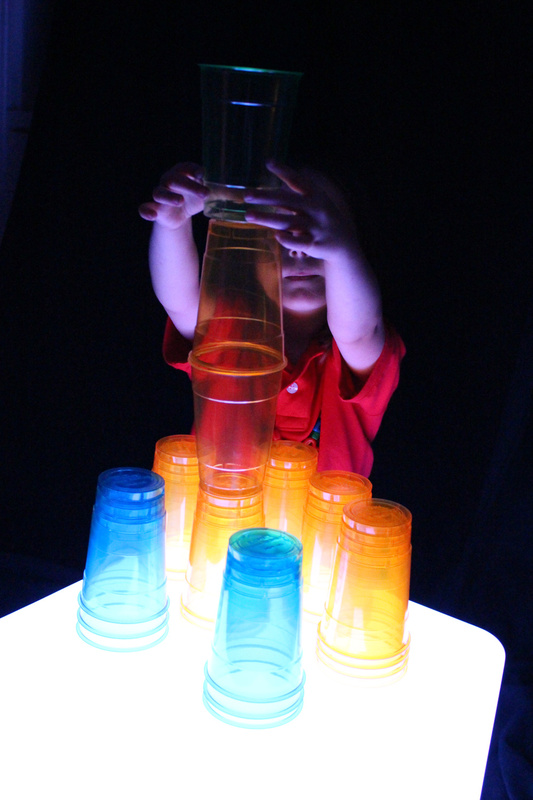 We’ve done a post on stacking colorful cups on top of the Light Cube. 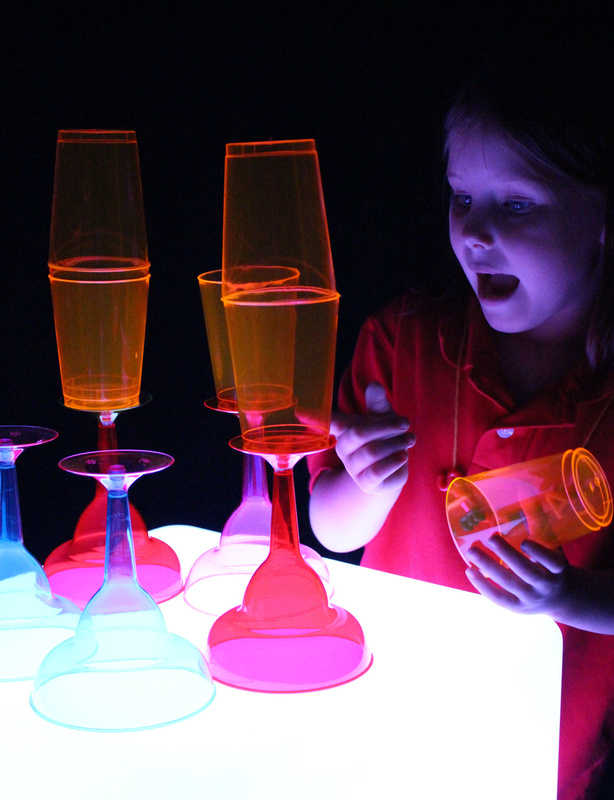 But what if you combined a variety of different colorful cups together in all shapes and sizes to create a beautiful sculpture… AND a light show? 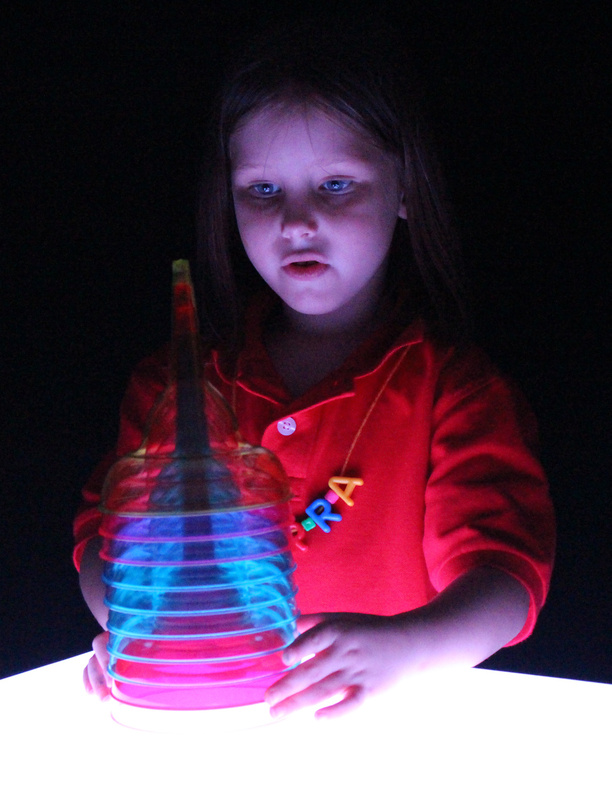 Stacking multiple cups together will intensify their colors on the Light Cube. You can find these cups at your local dollar or department store. Look for discount camping or patio sets for the clear plastic kinds. 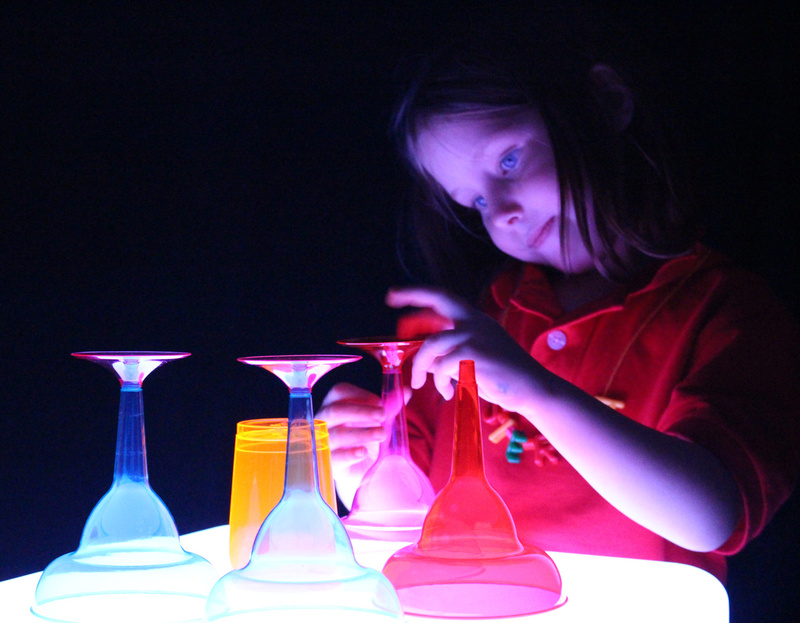 The colors of the clear cups will show up more clearly on the Light Cube. 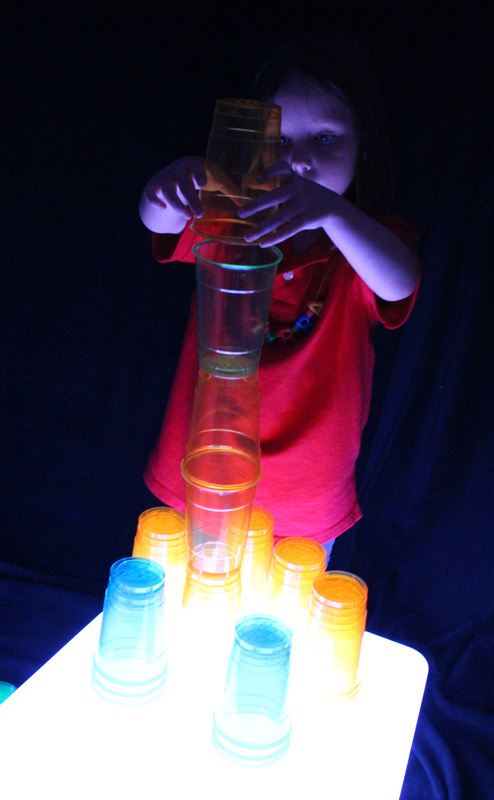 We asked our friend Sierra to take the cup piles apart and stack them to make a tall building. 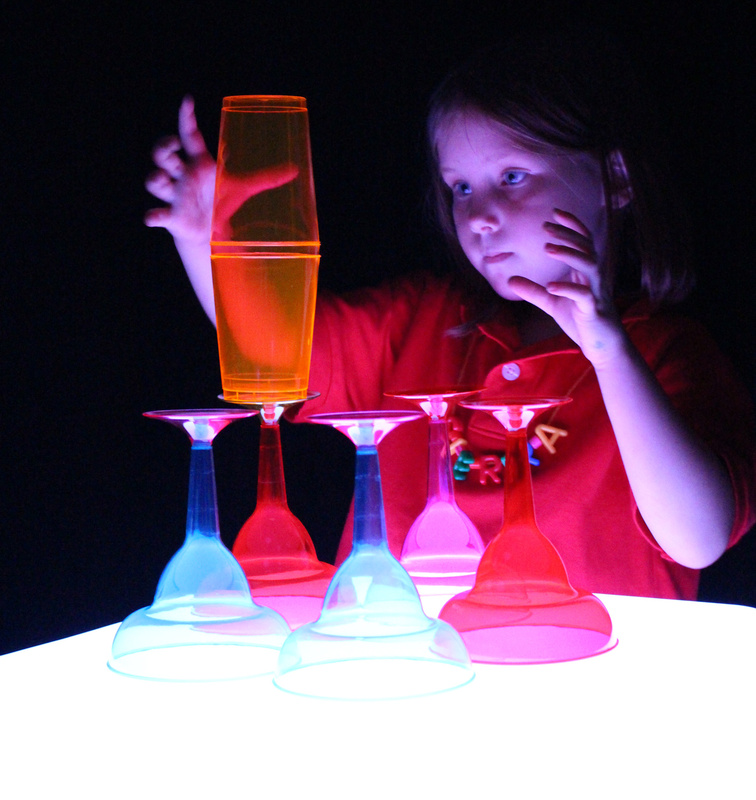 She found that by inverting the direction of the cups, she was able to build one on top of the other securely without it falling apart. Look at how tall Sierra built the cups! The next challenge was to take another set of cups and figure out a way to stack them upwards. The way we have these martini glasses stacked up–without the bases–make it impossible to build them into a tall tower. 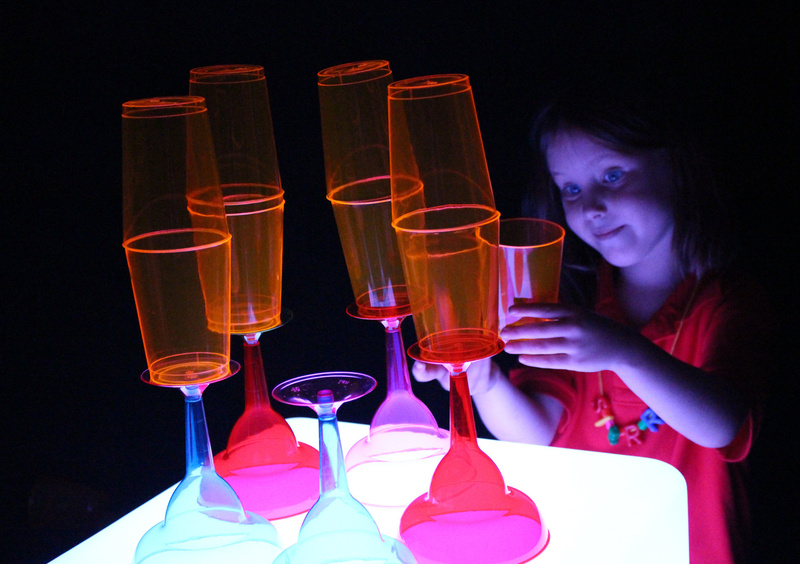 Once we added the bases to the cups, Sierra was able to build them up without a problem. 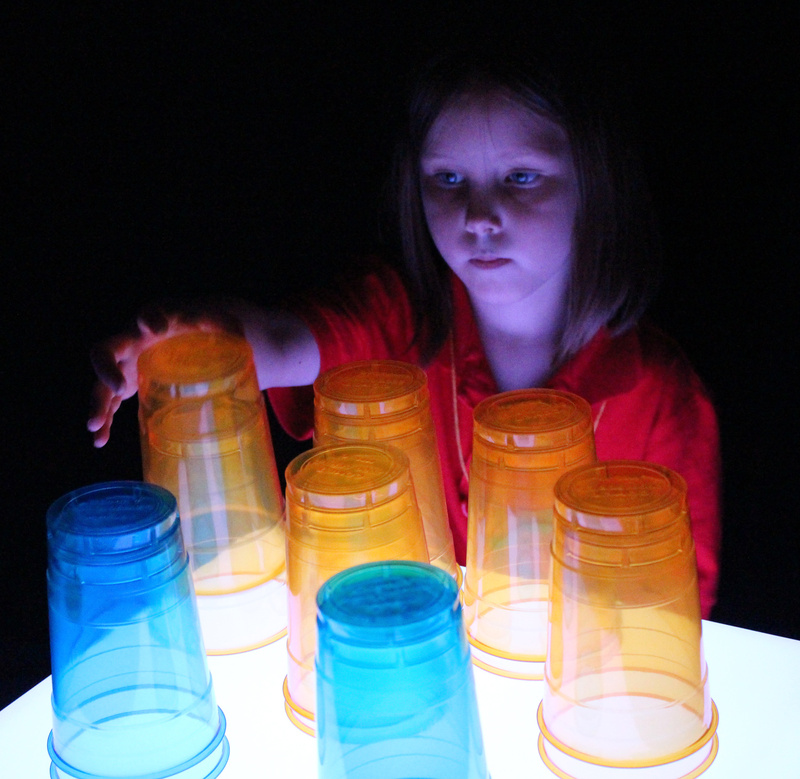 There’s more than enough space on the Light Cube to combine multiple cups together. Sierra got the idea to use the margarita glasses as the bases for her structure. She used the regular cups and stacked them, inverted, onto the margarita glasses. Look at that concentration! Sierra was so careful not to let anything lean or fall over. Sierra was amazed with the light effects. Look at how the blue stem of the margarita glass combines with the pinky red of the margarita glass behind it to make a purplish hue. 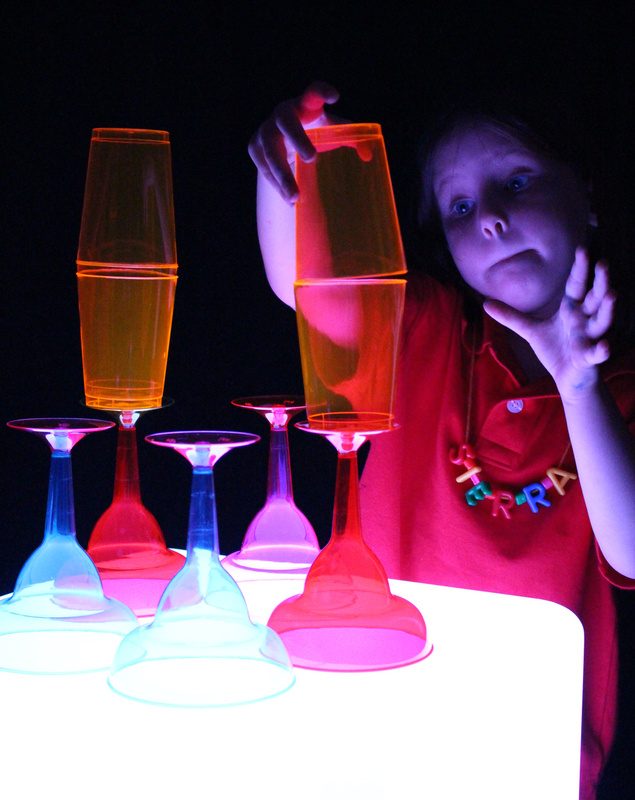 This is just one example of how the Light Cube enhances the combinations of different materials, such as these cups! This is the final structure that Sierra built! Isn’t it beautiful? 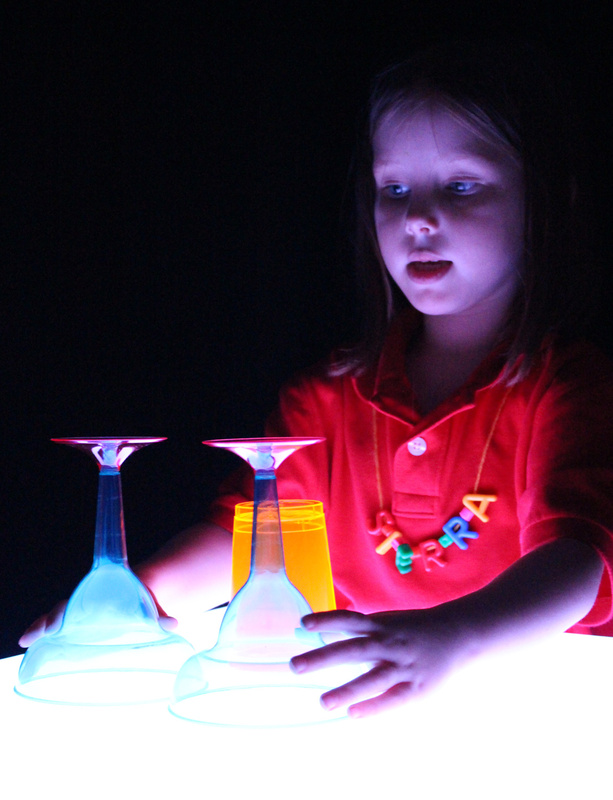 What kinds of structures can your students build on their light tables? 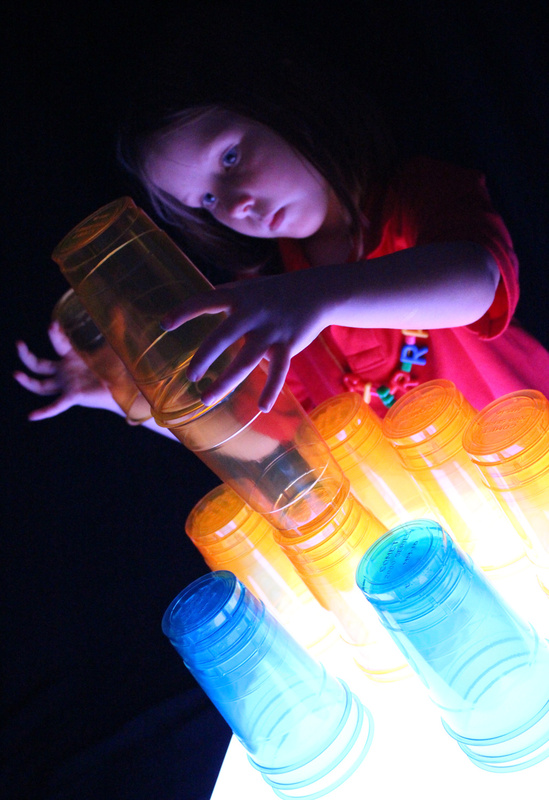 This entry was posted in New, Preschool Play and tagged building on the light cube, building with cups, educational light cube, light box, light cube, light play, light show, light table, stacking colorful cups, stacking cups by roylcoblog. Bookmark the permalink.